This course is run by the Discipline of Physiology and detailed information pertaining to the course can be found here. In addition to the MSc Neuroscience Full time (FT), an MSc Neuroscience Part time (PT) option is now also available. This one-year M.Sc. course aims to provide a multidisciplinary training in the neurosciences, in topics ranging from molecular to behavioural neuroscience. The course is ideal for students wishing to extend their specialised knowledge, and for those wishing to convert from their original degree discipline. The programme will equip participants with the skills necessary to progress into a career in biomedical, pharmaceutical or neuropsychological research. Instruction for the course consists of approximately 200 contact hours over two academic Terms to include lectures, laboratory practical sessions, journal club workshops and student-based seminars. Modules are assessed by a mixture of in course assessment and written examinations. 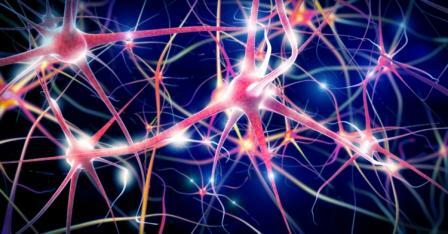 The third term consists of a Research Project on some novel aspect of Neuroscience. Term dates: The course runs for a full 1 year, normally starting in the last week of September and running to the first week of July in the following year. This two-year M.Sc. course aims to provide a multidisciplinary training in the neurosciences, in topics ranging from molecular to behavioural neuroscience. The course is ideal for students wishing to extend their specialised knowledge, and for those wishing to convert from their original degree discipline. The programme will equip participants with the skills necessary to progress into a career in biomedical sciences, pharmaceutical science and/or neuroscience research. Instruction for the course consists of approximately 200 contact hours over two years to include lectures, laboratory practical sessions, journal club workshops and student-based seminars. Modules are assessed by a mixture of in course assessment and written examinations. The third term of Year 2 consists of a Research Project on some novel aspect of Neuroscience. Term dates: The course runs for 2 years, normally starting in the last week of September and running to the first week of July in the following year.